Not many things are capable of turning a house into a home quite like a warm living environment in the winter, a cool environment in the summer, and comfort for the entire family year-round. A heat pump is an alternative energy source that can provide homeowners with these benefits and much more in an economical and sustainable manner. Whether you are experiencing problems with your existing heat pump or are looking to switch over from your current heating and cooling system, Jackson Hardware Heating & Air Conditioning is here for you. 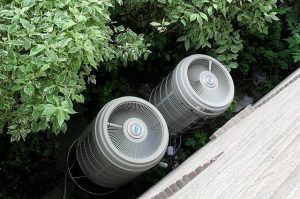 As the leading specialist in heat pumps across Jackson and surrounding areas, we are dedicated to providing top quality climate control solutions to local homeowners. A heat pump is similar to a refrigerator in the sense that it uses electricity to transfer heat into your home during the colder months and transfer it out during the warmer months, thereby maintaining warm and cool interior temperatures, respectively. Because it can function as both a heating and cooling system in milder climates, a heat pump significantly reduces gas fuel consumption, successfully reducing operating and energy costs by up to 50%. Determining whether a heat pump is suitable for your distinct home can be difficult, and this is where our professional expertise comes in. We take pride in offering a full selection of Lennox-approved products, specially designed for enhanced comfort and energy efficiency in homes. 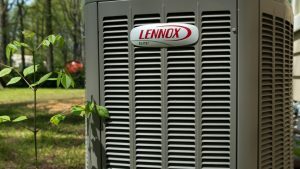 Built with the industry’s most sophisticated technologies, Lennox heat pumps can be paired with your thermostat to maintain ideal temperatures whether you are at home or not. Our service technicians are fully trained and experienced in the installation and repair of heat pumps. We complete the job quickly and efficiently, often leaving an area cleaner than we found it. When it comes to heat pumps, your comfort and peace of mind are our top priority! If you need an expert to provide heat pump service or repair in Jackson, Grafton, Cedarburg, Mequon, West Bend and all of Washington and Ozaukee counties, please call us today. At Jackson Hardware Heating & Air Conditioning, we look forward to helping you get started with alternative heating and cooling solutions.